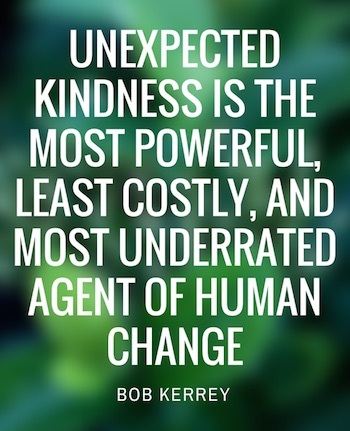 We believe that being kind and helpful is what our clients expect from us first. Even before solving any problem. 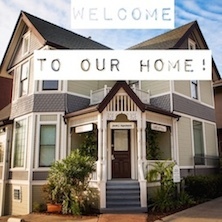 We are committed to creating a culture of warmth and belonging, where everyone is welcome. Delivering our very best in all we do, holding ourselves accountable for results for our clients. We are a service driven law firm, through the lens of kindness and compassion. Give us a try. We love to see you smile. As April 2015 is approaching, we would like to remind our readers to start preparing for H-1B filing. As you may already know, there is a numerical limit on the H-1B visas allotted for each fiscal year. There are 65,000 H-1B visas available with additional 20,000 visas for those with U.S. Master’s degrees. What is important is that visas are not recaptured if H-1B is not approved, thus only 65,000 first filed H-1B petitions will be considered. April 1 is the first day when you can file a cap-subject H-1B petition. 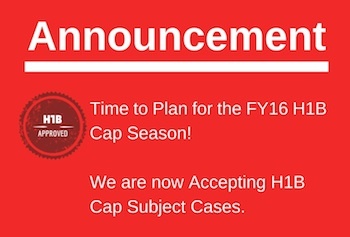 If you do not file on April 1, you risk not getting into the cap. Even though the application is in April, the H-1B employee will not be available to start working for the employer until the beginning of the fiscal year, which is October 1, with the limited exceptions described below. This can be a daunting task for foreign nationals but is doable especially if the employer knows what H-1B visa is and what is required from them. If you are planning to open your own company or use another company where you have an ownership interest for H-1B visa. If the employer has never filed H-1B petitions, then before the DOL grants its certification of a Labor Condition Application (a pre-requisite for filing H-1B with USCIS), the DOL has to verify the company’s FEIN number. Thus, the employers should be ready to produce a document verifying the company FEIN. Gather the H-1B-related documents for the beneficiary, such as passport, visa, I-94, EAD, I-20 (if any), DS-2019 (if any), J-1 two year rule waiver (if applicable), copies of all current and prior I-797 Approval Notices, Resume, Degrees and transcripts with translations. In addition, if the beneficiary’s legal status is dependent on the spouse’s status (e.g. H, L, E), the beneficiary will also need to produce evidence that the spouse has maintained his/her status in the U.S. The beneficiary will need to present the spouse’s I-797 approval notices granting the nonimmigrant status, visa copies, W-2 issued since beginning work in the U.S., and two recent paystubs. If the beneficiary has a foreign degree, then before submitting H-1B, the beneficiary needs to obtain evaluation of that foreign degree to determine U.S. equivalency. 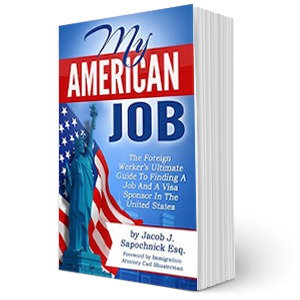 Only those individuals whose education/work experience has been evaluated to be equivalent to U.S. bachelor’s or higher degree can apply for H-1B. The immigration lawyer handling the H-1B case will be able to assist with arranging the evaluation of the beneficiary’s foreign education/work experience. 6. Most Importantly: Don’t try to do it yourself or use inexperienced help! Our office has seen too many clients with previous unsuccessful attempts to file for H-1B when they tried doing it themselves or retained assistance of inexperienced attorneys or immigration consultants. Don’t risk your career and ability to stay in the U.S. by relying on incompetent help! With fewer than three months left before the application period begins, it is very important to start collecting all the documents needed and choose an experienced immigration attorney that is right for you. Hurry! Your H-1B has to be ready in March for filing on April 1. We don’t know how long the visas will last, but looking at last year, the visas may run out within the first week, which means that only those petitions that are selected in the lottery will be adjudicated. Don’t wait until the last minute! You don’t want to miss the deadline as in that case you will have to wait until April 2016 in order to apply! We are accepting new h1b cases now. Our office has a track record of success in H-1B cases for a variety of industries with businesses ranging from start-ups to large multinational companies. We will be happy to assist you with your H-1B needs. Please feel free to contact our office for a consultation. We believe that by focusing on one thing, we can be the best in the world at it. That’s why we only practice one area of Law, and we are passionate about it. 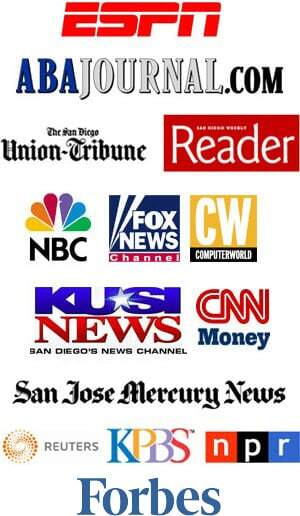 Based in Sunny San Diego we serve clients worldwide and we love it. If you share our beliefs, we’d love to be part of your team. We won’t disappoint you. Right from the start, we told the secrets that lawyers kept hidden. 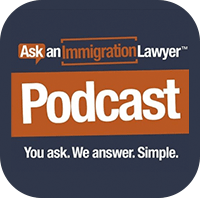 We demystified the Immigration process, sharing the information that lawyers traditionally used to make things complicated. So, as it turns out, giving away secrets isn’t crazy after all. People going through the Immigration Visa process tell us to keep doing what we’re doing, the way we’re doing it. Our clients love it when we take the information, the technology and the most amazing team you’ll ever meet and use it all to advance their cause. You will too. Wow, 10 years. It was ten years ago from July 9 that the our Law Firm opened. I didn't give this one thought months in advance. Like most endeavors though, once I make up my mind, there is no looking back - the drive to make it kicks in. What happened in 2004? Among other things, Janet Jackson's breast became exposed during the Super Bowl halftime, Mark Zuckerberg and a group of his friends launched Facebook, Friends, What is arguably one of the most popular shows of the decade aired its final episode and Ronald Regan The ex-president died in L.A. He was 93. I have learned so much in ten years and not merely as it relates to legal matters - that comes easy and what I went to school for and love doing -but for everything else that is necessary for a successful business. I love what I do not only because of my interest in the law but primarily because it is a way to effect positive change in people's lives - it is a means to serve others. Looking back on these ten years, it is hard to narrow the reasons for our firm's success. So much goes into that, but the main three ingredients have to be the lawyers, staff and clients. I am amazed at the enduring relationships we have with our clients. Our office has been blessed with a staff that is motivated, efficient and very capable. I also think it important that they are compassionate for our clients' issues - this is more than a job for us all - it is a calling. It is a keepsake to mark a momentous anniversary, and 10 years of outstanding legal service to this great nation of immigrants. That's a lot to to celebrate! A new removal policy will be implemented placing top priority on national security threats, convicted felons, gang members, and illegal entrants apprehended at the border; the second-tier priority on those convicted of significant or multiple misdemeanors and those who are not apprehended at the border, but who entered or reentered this country unlawfully after January 1, 2014; and the third priority on those who are non-criminals but who have failed to abide by a final order of removal issued on or after January 1, 2014. The Memorandum on removal priorities entitled “ Policies for the Apprehension, Detention and Removal of Undocumented Immigrants” has already been issued and will go into effect on January 5, 2015. Follow our blog for updates on how you can request the agency to exercise prosecutorial discretion in your case if you do not fall in one of the agency’s removal priorities. 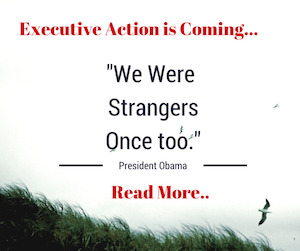 - Expand Deferred Action for Childhood Arrivals (DACA) program to encompass a broader class of individuals, regardless of age, and those who have been continuously present in the U.S. since January 1, 2010. Under the new program, the DACA relief will last for three years rather than two. - Grant Deferred Action to Parents of U.S. Citizens and Lawful Permanent Residents. DHS will extend eligibility for deferred action to individuals who are not removal priorities under the new policy, have been in the country at least 5 years, have children who on the date of the President’s announcement are U.S. citizens or LPR. Individuals granted Deferred Action will be able to apply for work authorization. - I-601A Provisional Waiver Expansion. 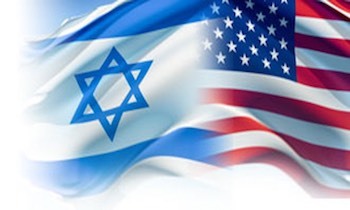 The waiver will be expanded to include spouses and sons and daughters of LPRs and sons and daughters of US citizens. Currently, only spouses and minor children of US citizens are allowed to apply to obtain a provisional waiver. Under the new initiative, the term “extreme hardship” will also be clarified and expanded. - Business Immigration Changes. Under the initiatives, DHS will identify the conditions under which talented foreign entrepreneurs, inventors, researchers, founders of startups may be paroled into the U.S. if their entry is determined to be in significant public economic benefit. L-1B guidance will be released, the H-4 EAD regulation will be finalized, and the length of time permitted on OPT for STEM graduates will be expanded. PERM system will also be modernized. - Parole-in-place will be expanded to spouses, parents, and children of US citizens or LPR who seek to enlist in the U.S. Armed Forces.